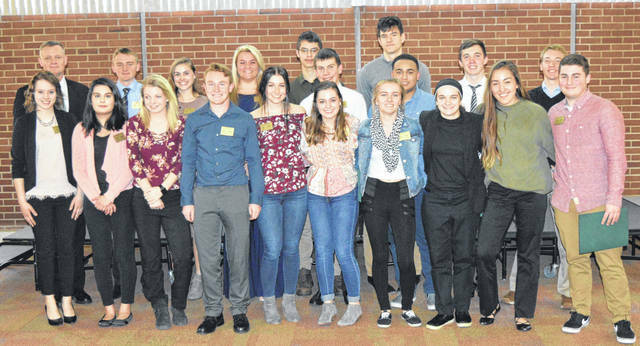 Clinton County Leadership Institute President Kelly Hopkins (back left) with Leadership Clinton Youth Collaborative Class of 2019 graduates. A few are not pictured due to attending other school-related events. For many more photos, visit www.wnewsj.com. From left are guest speaker Randy Riley; Beth Ellis, whose daughter Carlie is a 2019 LCYC grad; and CCLI Board President Kelly Hopkins. 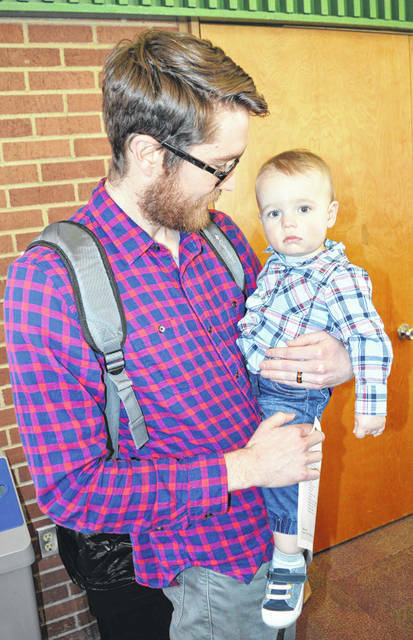 LCYC’s Wilmington High School Advisor Tyler Williams with his future LCYC graduate. 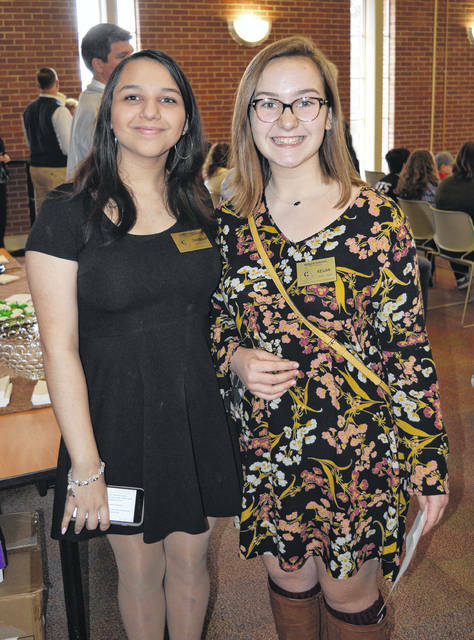 Wilmington High School LCYC Class of 2019 grads Gabby Garlo, left, and Regan Sparks. 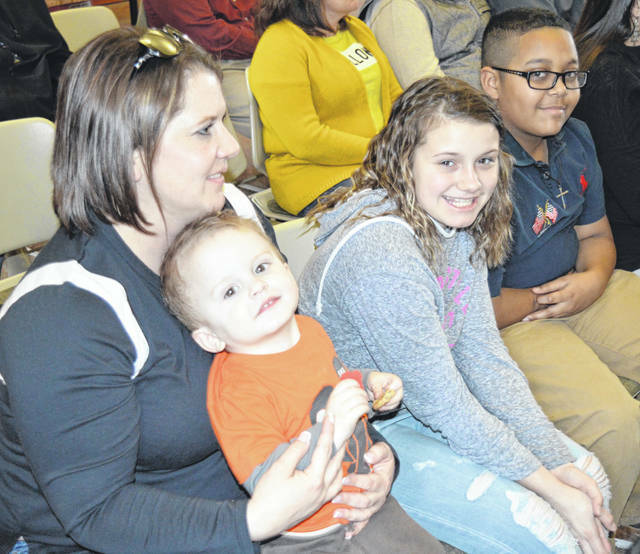 Families of the graduates enjoy the event. 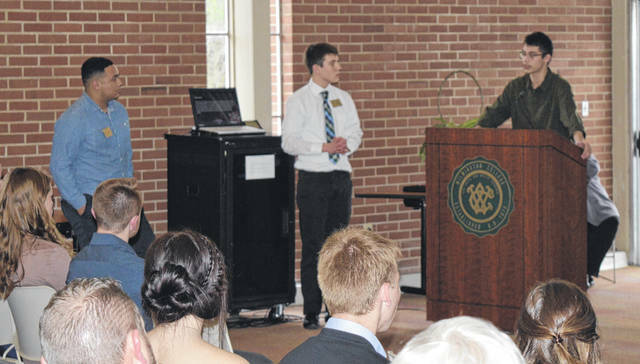 A large crowd packed the McCoy Room at Wilmington College. 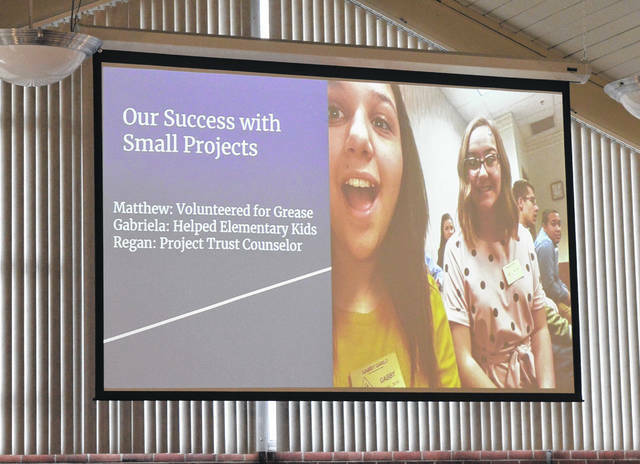 Each group of graduates gave a slide presentation of their projects, including this one by Wilmington High School. 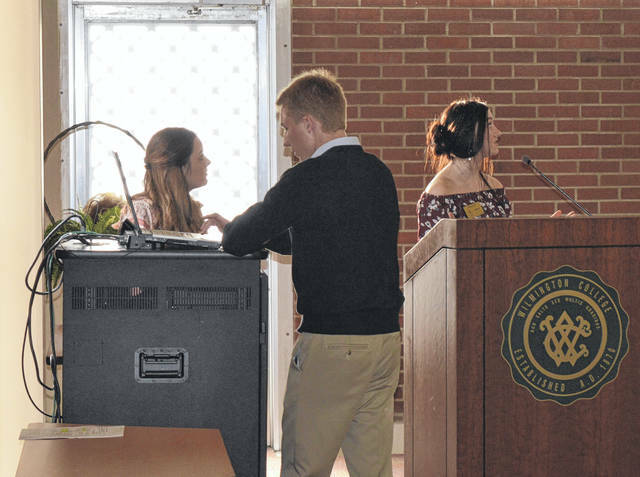 Wilmington Christian Academy presents its project. East Clinton presents its project. Blanchester’s LCYC graduates with their advisor, Bess Long, right, and CCLI Board President Kelly Hopkins, left. Clinton-Massie graduates with advisor Meagan Morabito, right, and CCLI Board President Kelly Hopkins, left. 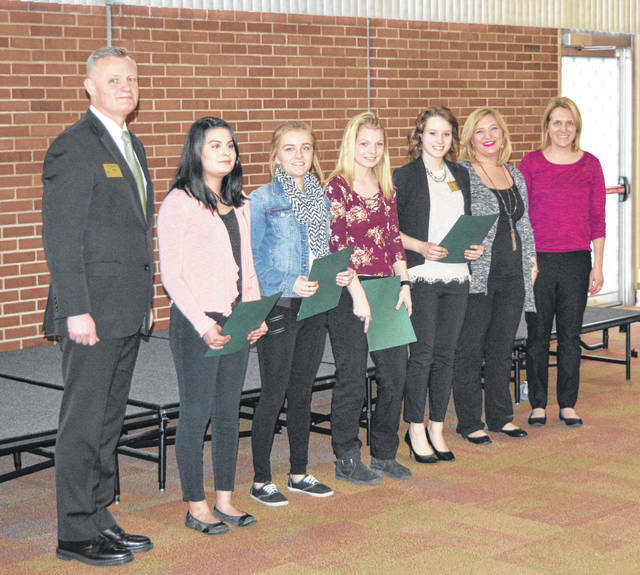 East Clinton graduates with advisor Sarah Ross, right, and CCLI Board President Kelly Hopkins, left. 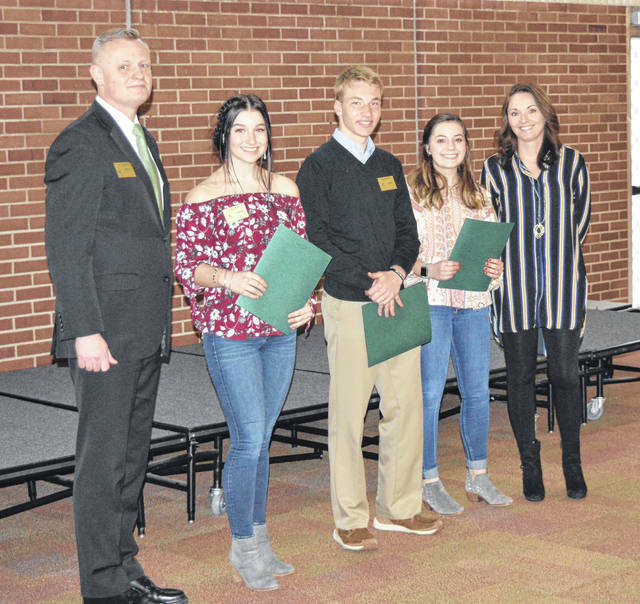 Laurel Oaks graduates with advisors, at right, Allison Gates and Janelle Running, and CCLI Board President Kelly Hopkins, left. Wilmington Christian Academy graduates with advisor Brenda Shobe, right, and CCLI Board President Kelly Hopkins. 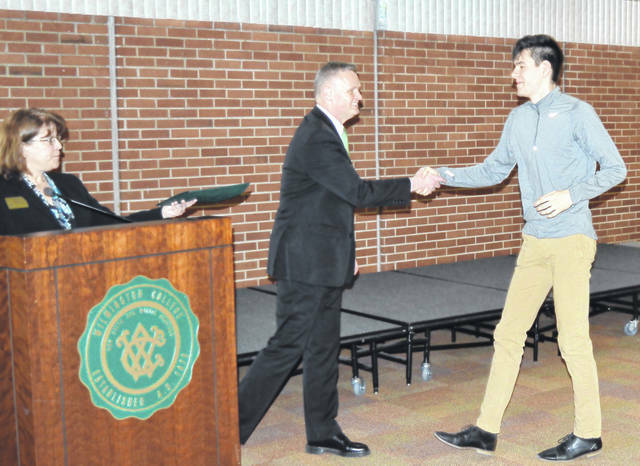 Clinton County Leadership Institute’s Kathleen Norman, left, and Kelly Hopkins presented the diplomas to the graduates, including Wilmington’s Matt Butcher. 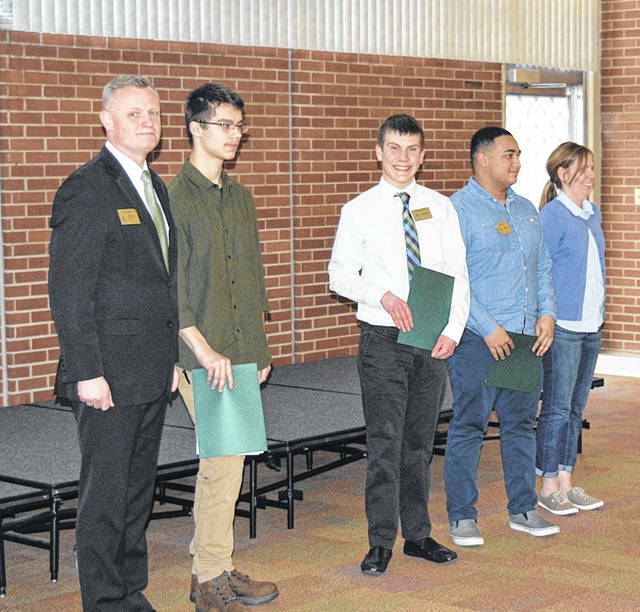 WILMINGTON — Twenty-three current and future community leaders received their diplomas at the 2019 Clinton County Leadership Institute’s Leadership Clinton Youth Collaborative Graduation Celebration and Report to the Community. 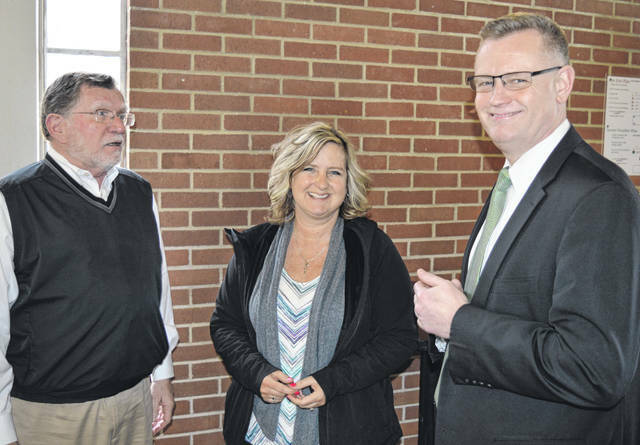 It was held Thursday evening in the McCoy Room at Wilmington College. 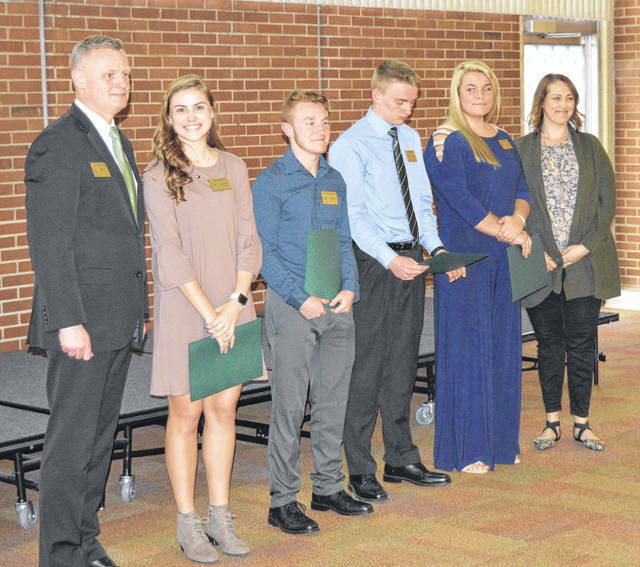 The LCYC Class of 2019 represents six high schools — Blanchester, Clinton-Massie, East Clinton, Wilmington, Laurel Oaks Career Campus and Wilmington Christian Academy. 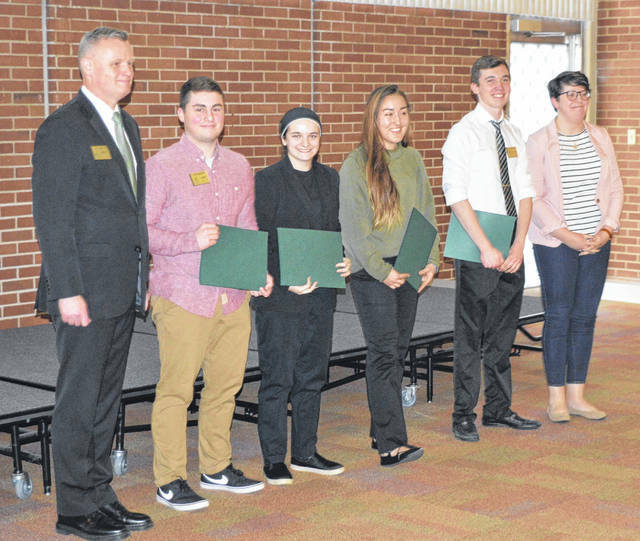 Each of the groups presented to the audience of family members and past Leadership Clinton graduates its Report to the Community detailing public service/fundraising projects that each group completed. 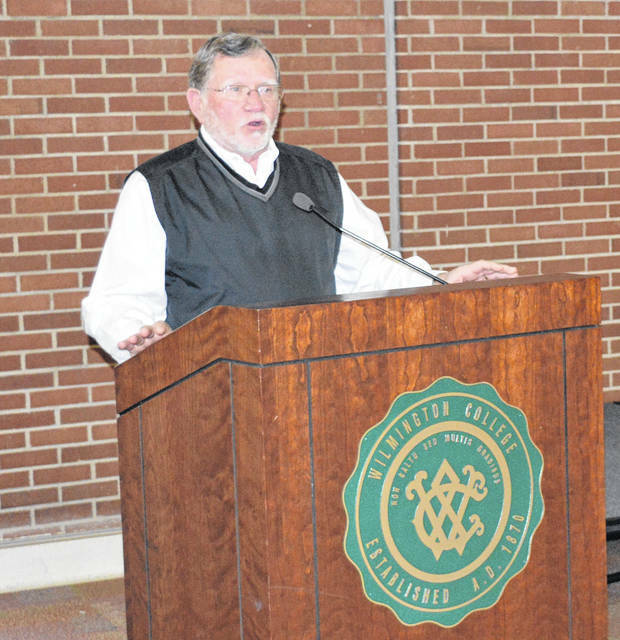 Former Wilmington Mayor and County Commissioner Randy Riley, himself a member of and participant in many community service programs, was the keynote speaker. Riley congratulated the graduates and encouraged them to continue to serve their communities. He also spoke of how so many LCYC projects have benefited so many through the years — including a past project which affected him directly. Several years ago his grandson, Clayton Earley, was diagnosed with cancer, and an LCYC group did a lot for Clayton as well as for Clayton’s parents, raising funds and helping around the house as their group project. Clayton is doing great now. Project: Raised funds to buy holiday gifts for local families in need. Kelly Hopkins is Board President of the Clinton County Leadership Institute and Tammy Shadley-Hutton is LCYC Program Coordinator. On Thursday evening the Pledge of Allegiance was led by American Legion Commander Richard James and the invocation was given by Dale McCamish. Sponsors for LCYC and Leadership Clinton include the six schools as well as Clinton County Historical Society, Clinton County Sheriff’s Office, Clinton Memorial Hospital, Fraternal Order of Eagles 1224 & Auxiliary, Leland Foundation, Murphy Theatre, Jeff Murphy, New Sabina Industries, Tanya Snarr, Wilmington Police Department, Wilmington College and the Wilmington News Journal.